In the past several months, I’ve shared my passion about autonomous driving and the reasons why I think Intel will succeed in this industry. I am fortunate to have a team of dedicated professionals who are equally enthusiastic about this opportunity; all organizational leaders should be so lucky. 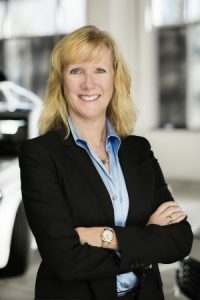 Patti Robb is a visionary technologist and the chief strategist behind our Silicon Valley Autonomous Vehicle Lab working with tier-one suppliers, carmakers, universities and startups to accelerate delivery of autonomous driving solutions. Following our recent Silicon Valley Autonomous Driving Workshop, I asked Patti to describe some of the ways she sees Intel bringing autonomous driving to life in the Valley and also to discuss her personal passion for her work. The following is an edited transcript of that conversation. Describe your role and the mission of the Silicon Valley lab. Vincent Van Gogh said, “Great things are done by a series of small things brought together.” That’s a great way to summarize what I do every day. Inside our garage lab we work with automakers, tier-one suppliers, universities and startups to bring together all of the aspects of our autonomous driving program from the car to the network to the data center. I’m exceptionally proud of the progress we have made so far, some of which was demonstrated at the opening of Intel’s new Silicon Valley Innovation Center and Autonomous Driving Garage. Can you say more about the innovations coming out of your lab? From car to cloud, we’re applying diverse expertise spanning 5G to artificial intelligence to software along with our proven leadership in silicon design. We’re delivering flexible designs with a combination of Intel CPUs, dedicated accelerators and FPGAs for powerful in-vehicle computing. We’re investing in a scalable, seamless 4G and 5G roadmap to enable things big and small with next-generation low-latency connectivity reaching speeds in excess of 10 Gbps. And we’re a driving force behind the development of virtualized, software-defined networks that can be sliced to meet 99.999 percent SLA (service level availability) reliability. We have other garage labs; what is unique about the Silicon Valley lab? Every one of our four garages has a unique strategy. In Silicon Valley, we are using the lab to advance the ecosystem, which means we have a number of collaboration projects with carmakers and tier-one suppliers in the works to enable the industry to deliver their solutions quickly. In the future, we will use the space for demonstrations featuring interactive experiences with future vehicles powered by Intel. Stay tuned for a time when this may be opened to the public on a more regular basis. For you, this cause is quite personal. Sadly, yes. This past Christmas, my brother Jim passed away following injuries sustained during an automobile accident. I will remember my brother as a great father and brother, a kind person who called his family every day, and a proud U.S. veteran who spent his spare time helping other veterans. Jim was one of the more than 40,000 people who died in traffic accidents on U.S. roads last year, 93 percent of them caused by human error. By taking humans out of the driver’s seat – and all of the distractions and errors they bring with them – self-driving cars offer real life-saving potential. The faster we can get those cars on the roads, the more lives we can save. Beyond their life-saving potential, I expect driverless cars to bring many societal benefits. They will make people more productive and transportation more efficient, more environmentally friendly, more accessible to people of all ages and abilities, and more enjoyable. Consider: Self-driving vehicles are expected to free more than 250 million hours of individuals’ commuting time per year in the most congested cities in the world. And we expect public safety costs related to traffic accidents to drop significantly – some $234 billion from 2035-2045. Kathy Winter is vice president and general manager of the Automated Driving Division at Intel Corporation. 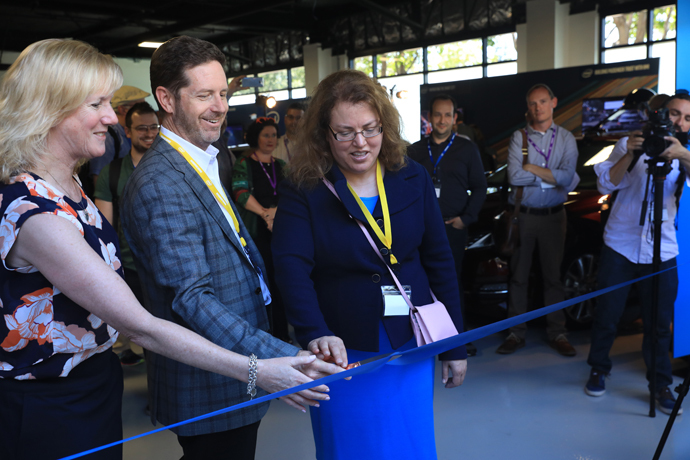 Together with Patti and the group’s senior director of engineering, Greg Scharenbroch, Kathy oversees a growing nucleus of autonomous garage labs, including the newest one in Silicon Valley. She joined Intel in 2016 from Delphi, where she engineered the first cross-country drive of a fully autonomous vehicle. This is the fifth in an occasional series of Intel newsroom editorials related to autonomous driving. To comment or reach Kathy directly, email autonomousdriving@intel.com.